French electro-acoustic explorer Jean-Marc Foussat began his musical career as a guitarist in experimental prog-rock groups in the early seventies, already then beginning to investigate the sonic scope of synthesizers, before fully transforming his instrumental palette to electro-acoustic devices. He is also known as a gifted sound engineer, favorited by such musicians as Joëlle Léandre and Joe McPhee, responsible for countless live free-improvised recordings for such labels as Hat Hut, Incus and many more. Swedish Jakob Riis began his musical career as a trombonist but today he focuses on composition and exploring improvised settings of noise and electro-acoustic music in different formats. Both Foussat and Riis offer interesting historic and fresh perspectives on the development of the blends of acoustic and electric sounds. This 4-disc anthology chronicles 40 years of unreleased material culled from Jean-Marc Foussat's archive, prepared for his 60th birthday. 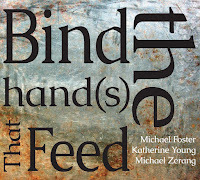 The first disc features short pieces from 1973-1977 that document his early sonic experiments with homemade electric guitar and later with the vintage portable analogue synthesizers, radio waves and magnetic tapes, with the prog-rock group Phyllauxckzairrâh N° III and the anarchistic prog-fusion group Le Lézard Marçio. 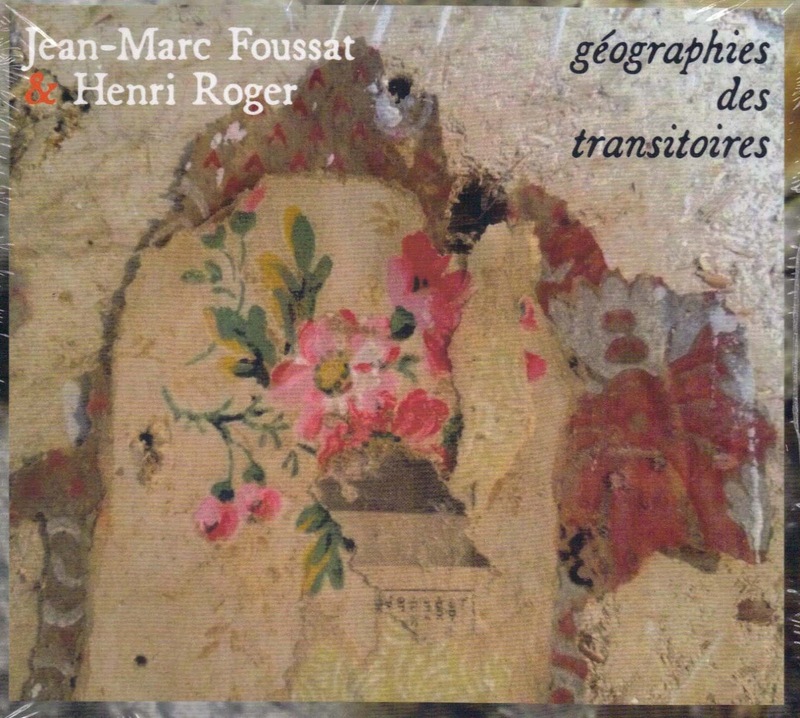 The second disc stresses Foussat's unique musical language in a free-improvised setting with the group Thrash the Flash, featuring him playing his analog synthesizer, digital piano, tapes and voice and with guitarist Marc Dufourd, vocalist Lea Dufourd and clarinet and flute player Jérôme Bourdellon. 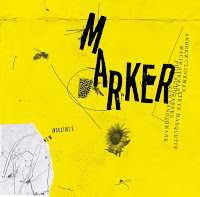 These recordings from 2000 and 2013 highlight his role as a sonic magician, producing a stream of spacey, noisy and weird sounds that are the driving force behind these wild, again anarchistic improvisations, even when the improvised textures tend to adopt a bluesy pattern. The third disc traces the development of Foussat innovative musical language on the EMS synthesizer with clever usage of voice samples through four extended solo pieces. The first from 1975 is ethereal, minimalist piece but the rest are much more complex, multi-layered and feature this vintage electronic instrument as an infinite sound generator, producing a busy flow of disturbing, yet vivid and nuanced textures. 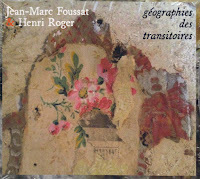 The fourth disc is the real treat, presenting Foussat “with others”, in different ad-hoc free-improvised settings, all recorded in 2015. 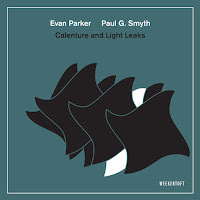 First with trumpeters Jean-Luc Cappozzo & Nicolas Souchal and trombonist Matthias Mahler in a 25-minutes of arresting sonic searches that highlight the emphatic interplay and the distinct voices of each of the musicians. 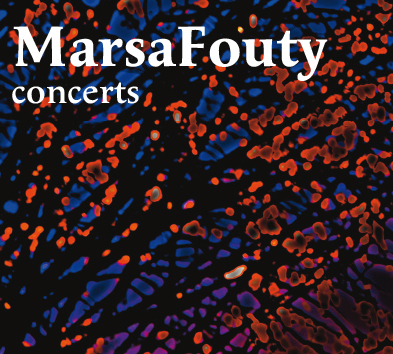 Following is a sparse improvisation with vocal artist Marialuisa Capurso and drummer Dirar Kalash. 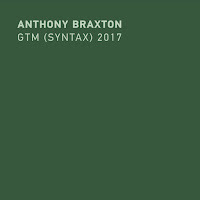 The third is a haunting, cinematic texture, charged with Foussat brilliant usage of voice samples, with Joe McPhee playing only the pocket trumpet and experimental double bass player Fred Marty. 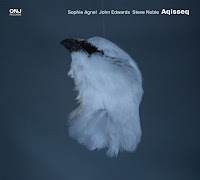 The last two improvisations were recorded at Jazzgalerie Nickelsdorf in Austria, when the gallery present its homage event to McPhee in May 2015. The first one is a delicate, short one with German drummer Paul Lovens. The second one is 25-minutes slow-burning improvisation that feature trumpeter Thomas Berghammer, guitarist Raymond Boni, the gallery mastermind Hans Falb on turntables, violinist Irene Kepl, McPhee on saxes, voices and trumpet, cellist Noïd and drummer Makoto Sato. 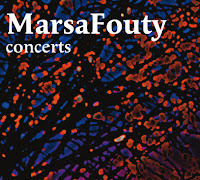 MarsaFouty is the duo of bass player Fred Marty and Foussat on electro-acoustic devices. Concerts was was recorded live on February 2015 in two different locations, released on Foussat's independent label. Both Marty and Foussat aim to lose their way within new sounds that transcend any conventional ones. Marty searches with his bow for distorted sounds, harmonic “holes,” experiments with the timbral spectrum of the bass by inserting metal and wood objects between the instrument strings and plays on all parts of the bass. 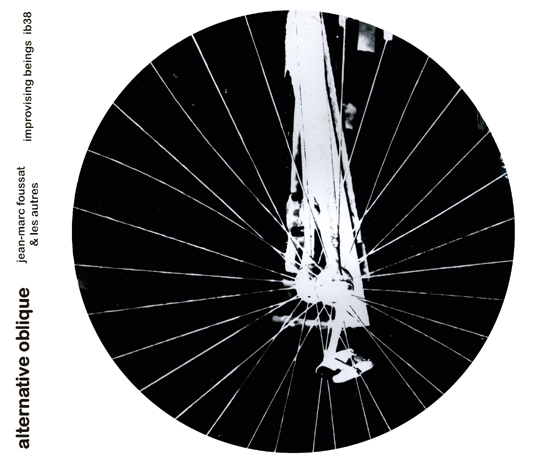 On the first piece “99 rue du Ruisseau” his distorted-dissonant yet rich buzzing drones feeds Foussat’s weird electro-acoustic sounds, eventually feeding him back again until all sounds blend into an alien, nervous sonic whirlwind. The two opt for a more relaxed and intimate course on the second piece, “Tiasci,” diving deeper into any sonic manifestation, expanding patiently Marty commanding bowing into a multitude of echoing, distorted and manipulated sounds. On both pieces Marty and Foussat never settle on any sound but keep morphing and sculpting their shared flowing soundscapes. Both sound as entranced by the kinetic powers of sounds, as if they are celebrating a kind of futuristic, shamanic ritual, intense and restless one, that possibly may attempt to drive away some disturbing visions. . 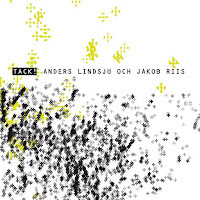 This limited edition album - only 100 copies but with a download option - is the second recorded collaboration between Swedish experimental guitarist Anders Lindsjö and Riis, who debuted with WARP in 2007 (Lindsjö played also on Riis’ collection of meeting with different improvisers, No Denmark, released in 2010). Both musicians are described as "most stubborn and unpredictable improvisers," but, fortunately, this kind of stubbornness realizes some unique clashes of their highly original languages- Lindsjö on electric and acoustic guitars and Riis on laptop, cymbals and electronic feedback. The eight pieces, recorded already in 2011, are quite varied yet highly intimate ones, moving between exploring sparse, minimalist sounds on “Framför allt vill jag tacka…”, the noisy and intense “Stort tack…”, the quiet, nuanced blending of feedbacks and white noises on the long title piece or the delicate dance of bleeps and beeps on “Tack till…”. 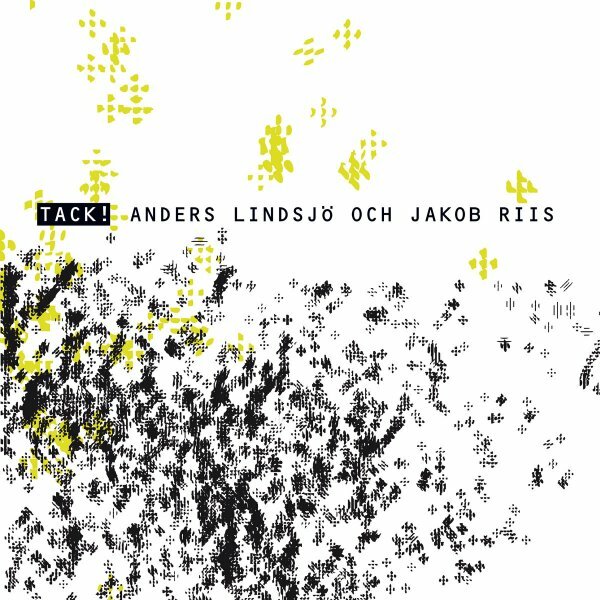 Lindsjö and Riis passes from time to time each other unstable sonic ground, but most of the time prefer to challenge the other with their their own sonic searches, all attempt to find new meanings for time and space dimensions in such arresting manners of making music.